They’re used to give hospital patients privacy in shared rooms, but bedside curtains may be harbouring dangerous drug-resistant germs for months at a time, according to new research. For the study, researchers from the University Hospital at the University of Michigan Medical Center took 1,521 samples from the edges of privacy curtains in 625 rooms in six skilled nursing facilities in southeast Michigan. The study’s authors also obtained bacterial culture samples from several sites on each patient’s body. The samples were taken when the patient first arrived, after 14 days, again after 30 days, and then monthly for up to six months after the patient’s initial admission. 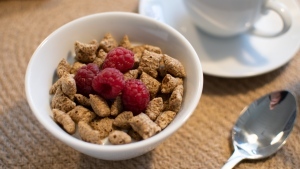 The researchers found that between 11 per cent and as much as 28 per cent of the tested curtain samples contained bacteria resistant to powerful antibiotics, such as methicillin and vancomycin. 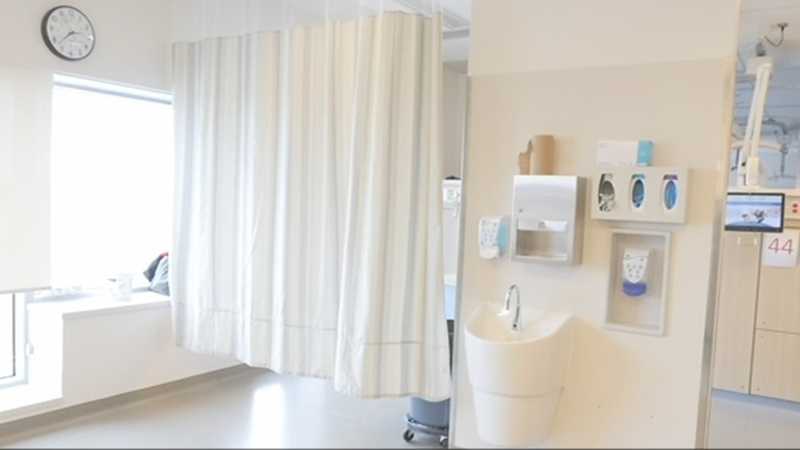 “Clearly, curtains are something that needs special attention because of the fact that they’re not that easy to clean,” lead researcher Dr. Lona Mody from the University of Michigan Medical Center told CTV News. Of the contaminated curtains tested, the study found that nearly 14 per cent were resistant to the antibiotic vancomycin, which is used to treat bacterial infections, and almost five per cent were resistant to the penicillin-related antibiotic methicillin. The team found there was no significant difference between curtain samples taken from private and shared rooms. The researchers said privacy curtain contamination is a “common problem” and that patients are frequently infected with the same bacteria found on their bedside curtains. They also said antibiotic-resistant germs are cause for concern because they defy treatment, which makes it easier for them to infect others. And while there is no proof yet any patients got sick from curtain exposure, the risk is there. “What worries me the most is the contaminated curtains and that we do not have good guidance or policy to clean them yet. So I think we should develop some guidance documents and advice for our health-care facilities to clean or decontaminate these curtains – or think about other strategies,” Mody explained. One measure that is fairly easy to implement, according to the researchers, is better handwashing by medical staff, patients, and visitors who touch privacy curtains. However, in terms of cleaning the curtains themselves, one infectious disease specialist said it’s easier said than done. “To completely eliminate the risk, after every patient came and left the hospital, you would have to take down the curtain, you’d have to remove all of those 12 or 13 islets – get somebody up on a ladder – and have a backup curtain waiting, which is beautifully cleaned, that someone can then hang up,”infectious disease specialist Dr. Neil Rau said. Although Rau suspects the risk of infections from contaminated curtains is low, there haven’t been any studies to quantify the rate. As more hospital authorities become aware of the risks associated with contaminated bedside curtains, alternatives are being explored. At the Oakville Trafalgar Memorial Hospital in Ontario, argon glass doors were chosen for the new emergency department . The doors are transparent until a patient flips a switch and they become opaque. “They look like glass doors, and if you want privacy, flip the switch,” Carole Moore, the hospital’s chief operation officer, explained. Perhaps the most attractive feature of the glass doors is how easy they are to clean. “It’s wipeable, so very easy to clean in between patients, the switchable glass for both acoustic privacy as well as visual privacy. But also the nurses, if they just want to take a quick peek, they can just flick it and have a quick look at the patient and close it back off again and not disturb people,” Moore said. Another popular option being installed in a growing number of hospitals and clinics in Canada is the KwickScreen -- colourful partitions that can bend and retract, much like curtains. These screens can also be easily cleaned by wiping or steaming in order to prevent contamination and the spread of germs that are resistant to antibiotics. As for the curtains still in use, the study’s authors are calling for set guidelines in hospital to keep them clean and free of bacteria. The findings will be presented at this year’s European Congress of Clinical Microbiology & Infectious Diseases in Amsterdam this week. The researchers found that between 11 per cent and as much as 28 per cent of the tested curtain samples contained bacteria resistant to powerful antibiotics.